Earlier this month, we published the heartbreaking story about the latest British child to become a “cannabis refugee,” forced away from his family home just to gain access to potentially life-saving medicine. 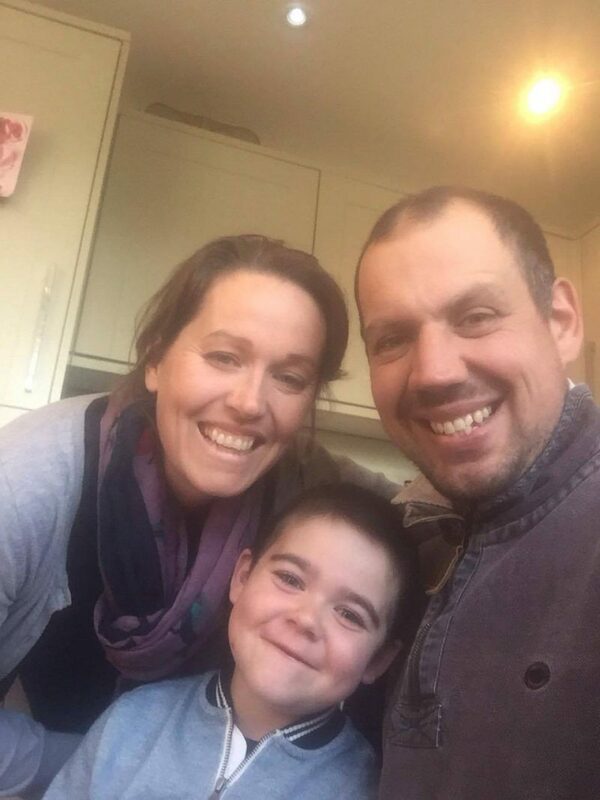 Alfie Dingley, who just turned 6, suffers a genetic condition called “PCDH19” which causes severe clusters of hard to control epileptic seizures. After not responding to traditional, pharmaceutical medications, his heroic mother, Hannah, decided to move her family to The Hague in Holland, where medicinal cannabis is legal. We caught up with Hannah to find out more about her family’s incredible story. “I was researching natural ways to help epilepsy since Alfie became ill. I’ve never felt health can come from filling yourself with pharmaceutical drugs. “Cannabis kept coming up all the time. I just tried to find people who it had helped. I was doing lots of research and speaking to families who’d used it too. “We tried CBD for a few weeks at home and it did make a difference. But we stopped the CBD treatment after we decided to move to The Hague, as we didn’t want to set his baseline at a different point. While some patients have reported great success with CBD (the non-psychoactive cannabinoid in cannabis), certain medical conditions, such as epilepsy, need to be treated with THC (the psychoactive cannabinoid) as well. “It is my understanding that we need to use whole plant cannabis medicine, not just CBD, which is why we’re now in Holland,” Hannah explained. Discussing the move from their family home to Holland, Hannah described how difficult the move was: “It’s crazy that after all the trauma we’ve experienced over the last few years, we now have to move away from our support network it’s been very hard. “The hardest part is that Alfie and Annie, my daughter, do not understand why they can’t see their Grannies, who are a big part of their lives they’re very confused. “I feel very sad we’ve had to leave the UK for this treatment. Our world has been turned upside down for the last five years and now we have to keep fighting to do this for him. “I feel like the patient and the person doesn’t seem to matter. If law makers could really see the suffering my child experiences, I’d hope to think they’d allow him to use this medicine in the U.K.
“The current Government says there is no evidence that cannabis has any medical value, yet there are masses of studies done abroad which show cannabinol helps epilepsy in mice models and even human trials. Hannah and Alfie’s story first made the headlines earlier this year when the mother bravely spoke-out about Alfie’s condition and the potential medical cannabis could have for him on ITV’s This Morning earlier this year. The UK needs more parents like Hannah to stand up for their children’s choice in medication. Forcing the issue of medicinal cannabis into the national conversation has propelled the movement closer to legalisation. Normalisation of use could be the best way to pave the way for legalisation. For more information about Alfie’s progress in Holland, follow his official Facebook page, and to donate to help the family fund his treatment, go to their official Just Giving page.